just east of I-5 between Bakerview and Slater. 1. From I-5 South, take exit 260 for Slater Road. 2. At the first traffic circle, take the third exit (heading over the freeway). 3. At the second traffic circle, go straight to stay on Slater Road. 4. At the third traffic circle, take the first exit onto WA-99. 5. 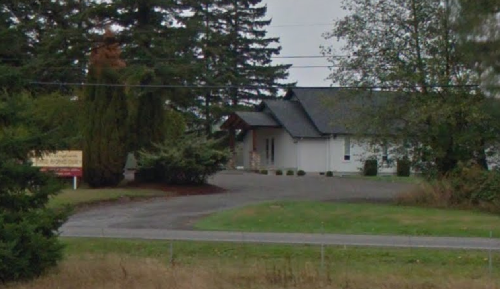 Bellingham United Reformed Church is a mile down the road on the left side, just past Motor Trucks. 1. 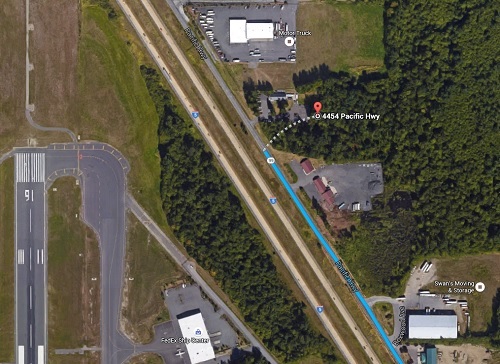 From I-5 North, take exit 260 for Slater Road, and take the first exit in the first traffic circle. 2. At the second traffic circle, take the first exit onto WA-99. 3. 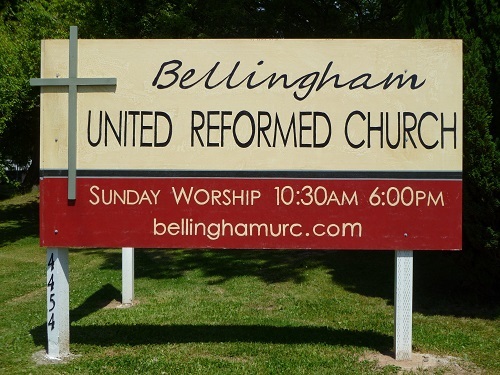 Bellingham United Reformed Church is a mile down the road on the left side, just past Motor Trucks.